A Wigan restaurant is facing a fine of up to £60,000 after a home office raid discovered three employees believed to be working illegally. 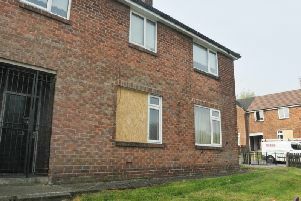 Beijing House on Liverpool Road in Hindley was raided by immigration enforcement officers. Following an “intelligence-led” operation, the officers swooped in on the restaurant and takeaway during peak operating hours. A spokesperson for the Home Office said: “Immigration checks discovered three Chinese nationals, two men, aged 21 and 45, and a 34-year-old woman, had all entered the country illegally and had no right to work in the UK. “All three were arrested and detained while steps are taken to remove them from the country. The Chinese restaurant, which has been dubbed “the best in Wigan” by TripAdvisor contributors, now joins a host of Wigan businesses stung for hiring employees with no right to work in the UK. The Home Office can impose serious penalties on those who are found guilty of employing an illegal worker if the employer knew or had “reasonable cause to believe” that had no right to be working in the country. Any employer who had any reason to believe that the staff didn’t have permission to enter or stay in the UK, that the staff member’s leave had expired, that they did not have permission to do certain types of work or that their papers were incorrect, could can be sent to jail for five years and be given an unlimited fine. A Home Office spokesperson said: “Those who use and exploit illegal workers face severe financial penalties. “We are happy to work with businesses to ensure the right pre-employment checks are carried out, but those intent on operating outside the law will be found and will be punished. “Using illegal labour is not victimless. It cheats the taxpayer, undercuts honest businesses and cheats legitimate job seekers.